This freshly stocked flatware pattern is our newest darling. Vintageware is 18/0 stainless steel in the same, classic and adaptable “Austin” pattern of Goldware (brushed gold), Roseware (brushed copper) and Matteware (matte black). Wait no longer than 1-2 business days for your vintage-inspired flatware now available at an incredibly low price point. Frame your food with a bit of antique inspiration and set your table in style with this cozy collection. The Austin pattern was pioneered by the LMT team in 2017 and has seen success among chefs and operators looking for a bit of low key attitude in their flatware. For samples and more information on this collection, please email lmt@singerequipment.com. https://lmtprovisions.com/wp-content/uploads/2019/02/vintageware-medsker-amefa-lmtprovisions.jpg 3000 2000 Sarah Bulmer http://lmtprovisions.com/wp-content/uploads/2018/11/LMT-Email-SM2-002-1.png Sarah Bulmer2019-02-08 12:30:492019-02-08 12:30:51﻿Don’t Call It A Comeback: VINTAGEWARE from Amefa is Now in Stock! Chelsea’s ultra-mod Hotel Americano has added a splash of spice and flair to its lobby with the opening of La Central. This Pan-American restaurant, led by Executive Chef Franklin Becker, has a menu influenced by Mexican and Peruvian cuisine and heightened with the flavors that ignite passion in his team of chefs. A canvas of modern neutrals allows this diversity of spices, textures, and flavors to shine, and integrates seamlessly with the hotel’s décor. Becker and his team have chosen to set their tables with Felt + Fat’s signature B&B plate in slate, a cool, satin-matte black finish, framed by Sambonet’s Hannah flatware collection. When it’s time for a drink, have one of Michael Parrish’s sharp and balanced cocktails in equally balanced glassware. The Broken Shaker alum is using Bormioli Rocco’s Bodega and Rona’s Minners, both from Steelite, to showcase his creations. Figgjo’s Pax collection serves as the stage for Becker’s delicious and thoughtful cuisine that honors tradition while updating it – delectably. You’ll see Figgjo’s porcelain throughout your meal, in optic white and in subtle tones of grey and beige. Tacos arrive in a stainless steel taxi atop the Pax 8” racetrack oval, a unique shape that is growing increasingly popular on the tabletop. Order the enchiladas and you’ll receive Figgjo’s Ting 8-1/4” plate with a slanted lip, perfect for not leaving a morsel behind. 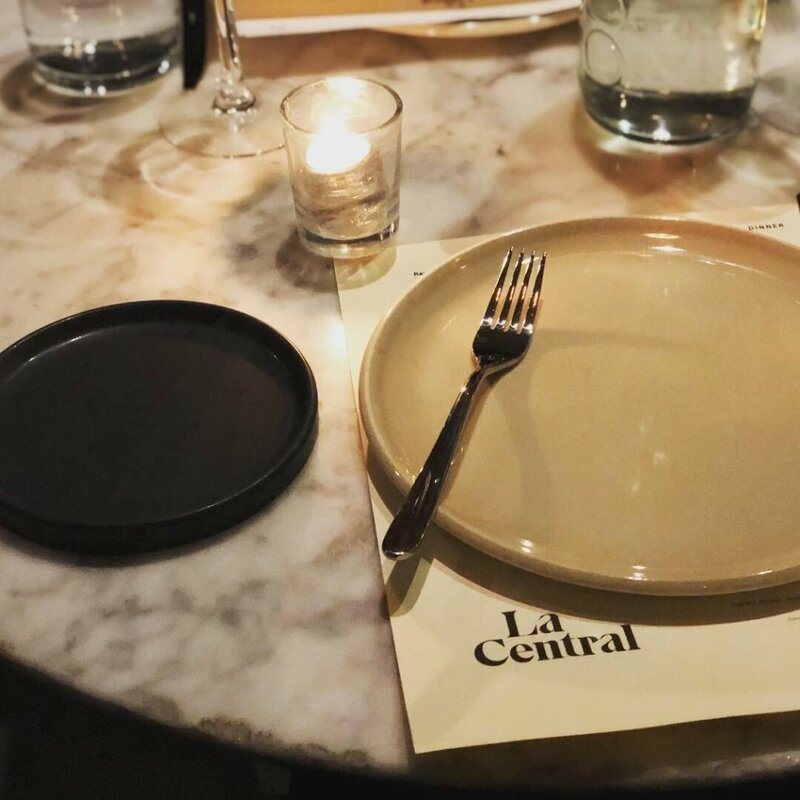 La Central also makes thoughtful use of Anfora’s Chena collection, made in Mexico. 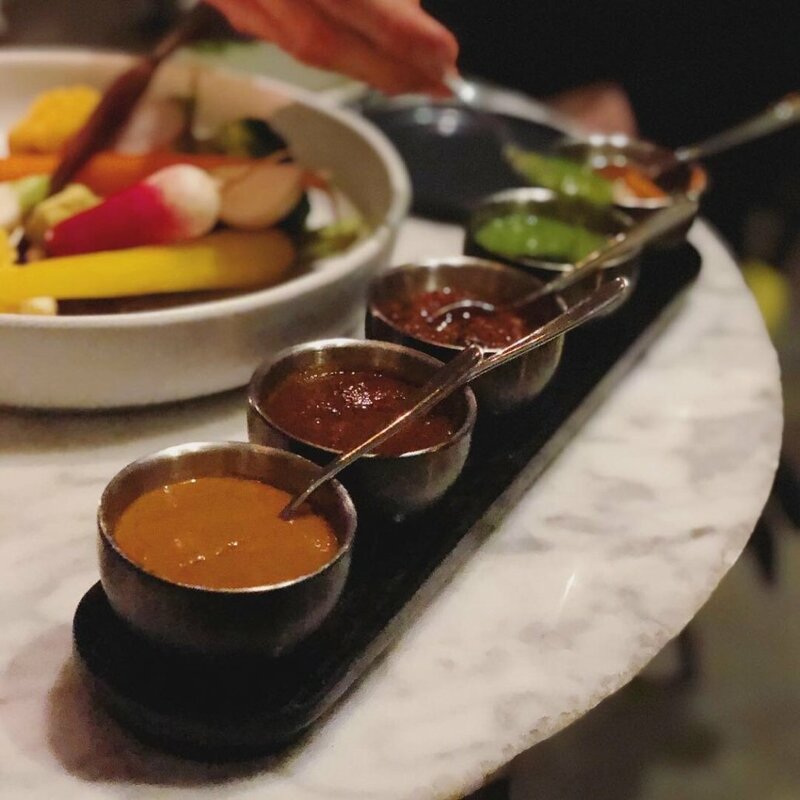 Shallow bowls in matte black and white are used for a range of shared plates and appetizers, including crudités paired with four salsas that come in a custom wood caddy from Culinary Wood Designs. Don’t skip dessert; sugary salty sweet churro waffles are served in Chena White as well, contrasted with Chena Black coffee service to send you along your way in sueños of La Central. 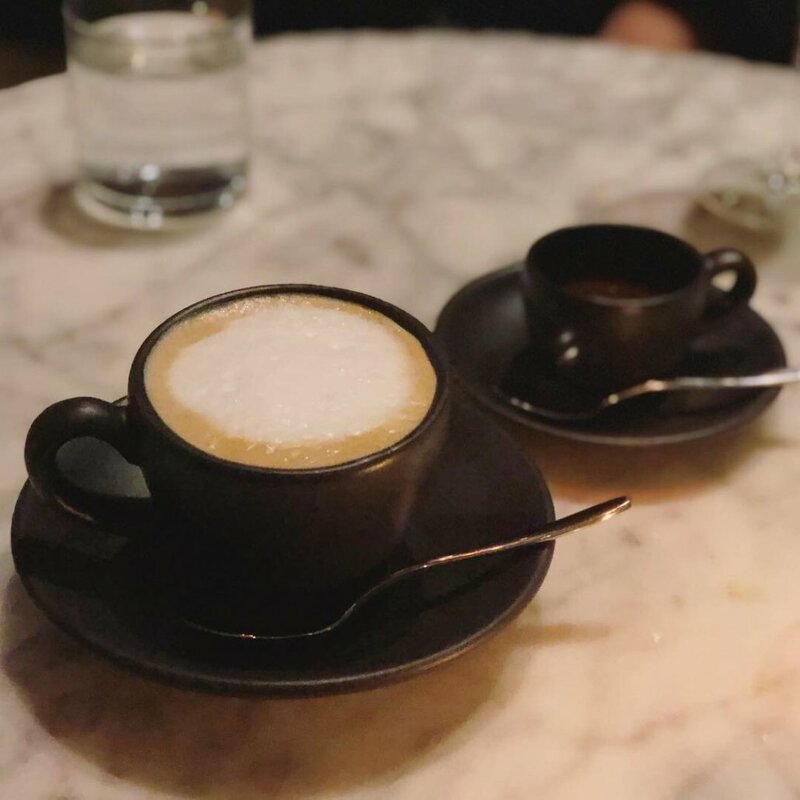 https://lmtprovisions.com/wp-content/uploads/2019/01/hotel-americano-pax-dessert-lmt.jpg 1080 1080 Sarah Bulmer http://lmtprovisions.com/wp-content/uploads/2018/11/LMT-Email-SM2-002-1.png Sarah Bulmer2019-01-22 08:00:252019-02-14 14:03:03This Week in Tabletop Inspiration: La Central at Hotel Americano!